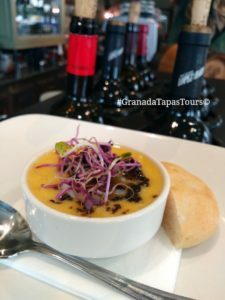 Granada Tapas Tours Works With…. 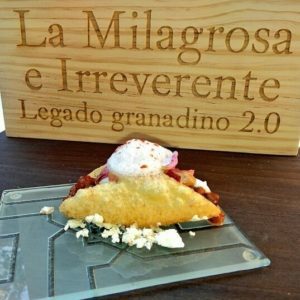 Running from March 1st to 16th this year, Granada will hold its annual Tapas Competition and I can´t wait to “participate”. 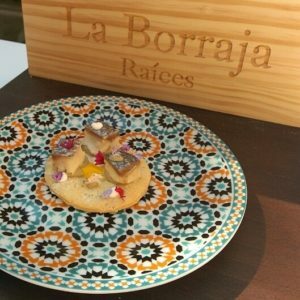 Last year over 100 bars took part and I managed to sample more than 30 gourmet tapa entries. 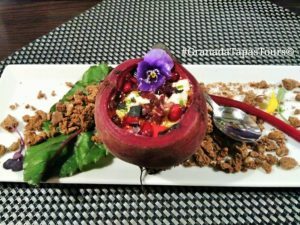 The bar is set high as the chefs in various bars and restaurants all over the city, prepare and create not only delicious tasting but gorgeous looking tapas. 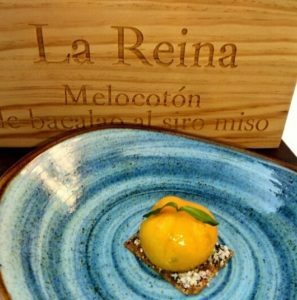 Many ingredients, which aren´t commonly used when making a tapa, are put to good creative use during the course of the competition. 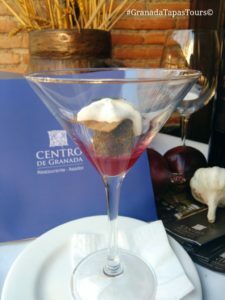 After just over 2 weeks of eating tapas as much as possible, the final will be held on March 17th inside the Town Hall building (Plaza del Carmen). Sponsored by Granada´s local brewery, Cervezas Alhambra when you ask for the “competion tapa” you´ll be served an ice cold Alhambra Especial beer and the establishment´s entry. 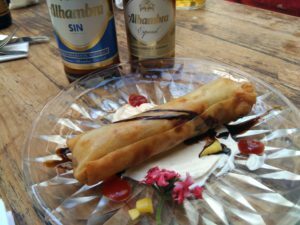 The beer and tapa only costs 2´50€. 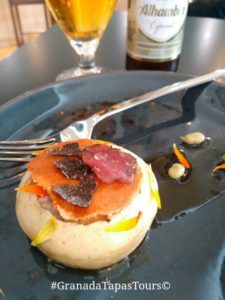 The bar may have opted to make a more traditional tapa option or have gone for something very avant-garde and innovative. 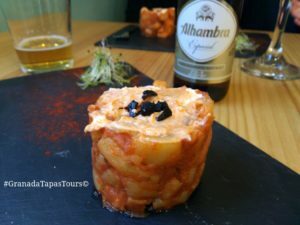 Sometimes the tapa also has a name or pokes fun a local or Spanish popular culture. Last year, lamb was a firm favourite as a meat choice but basically “anything goes”. 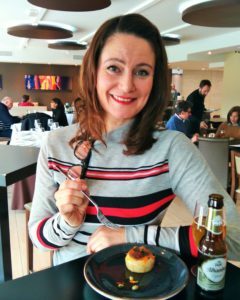 There were so many to choose from and there isn´t enough space to show ALL the tapas I loved last year so here is just a selection of what I tried and tested. A feast for the eyes….. 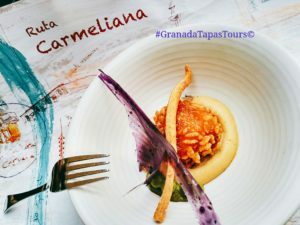 If you´re in town from March 1st to 16th, then don´t forget to book a food tour with me, Granada Tapas Tours and we´ll sample the best options this year. 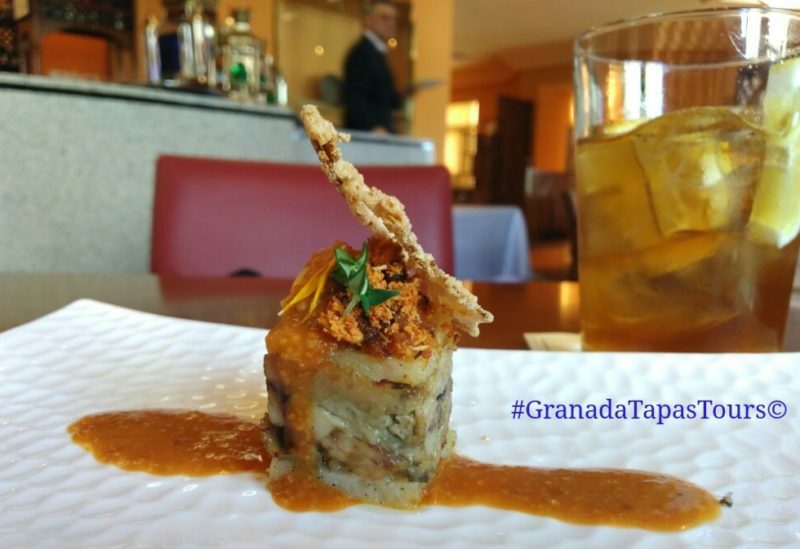 Roll on and let´s start Granada´s 10th Tapas Competition! 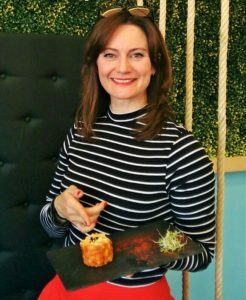 Enjoy a food 'experience' with us!